Penn State University Stripe Out against Temple, Sept 17th 2016 in Beaver Stadium also known as Happy Valley. 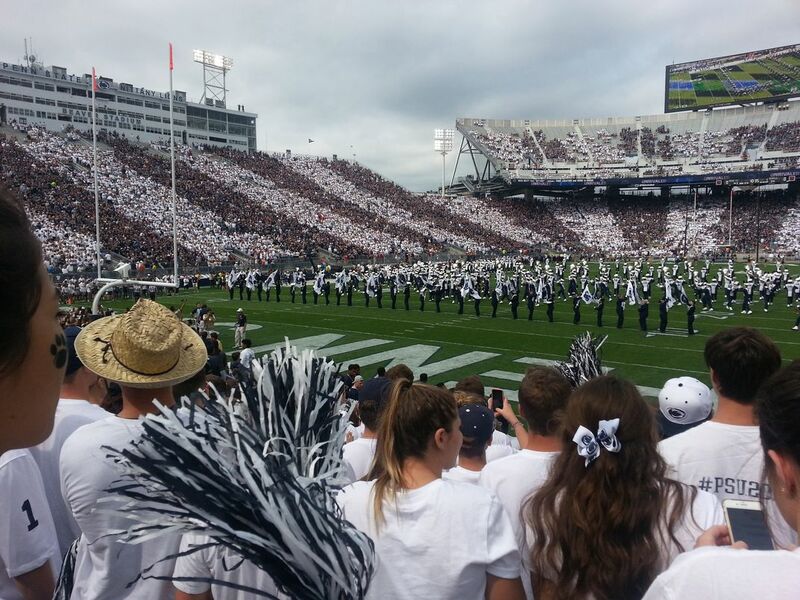 Every section in the stadium alternated navy blue and white. The entire student section is white.